Hampton resident Curtis Pishon was last seen during the early morning hours of July 5, 2000 when he disappeared from the premises of Venture Corporation in Seabrook, N.H. Mr. Pishon was employed as a security guard at Venture Corporation at the time of his disappearance. Mr. Pishon was a retired police officer. 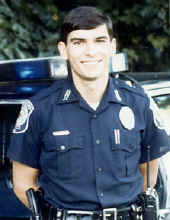 He retired from the Concord Police department due to a medical disability. Mr. Pishon suffered from multiple sclerosis. Mr. Pishon was described as a 5’9″, white male, weighing 165lbs., having slightly graying brown hair, brown eyes, and a mustache. When Mr. Pishon was last seen, he was wearing a Reliable Security Uniform (light blue over dark) and new boots. Anyone having any information concerning Mr. Pishon’s disappearance, should contact: Seabrook N.H. Police Crime Line (603) 474-2640 or the Seabrook Police Department (603) 474-5200.